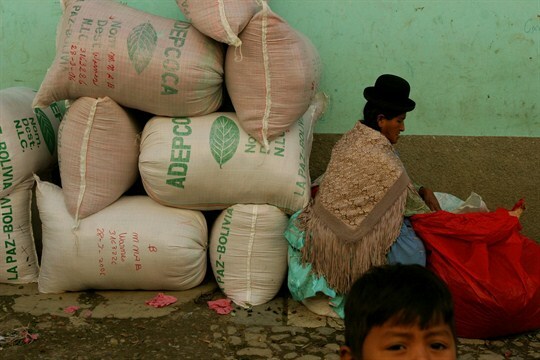 A Bolivian coca leaf producer packs 50-pound bags of the dried plant to be sold and delivered to traditional market retailers, La Paz, Bolivia, March 28, 2006 (AP photo by Dado Galdieri). Editor’s note: This is the second installment of a two-part series on Bolivia’s relationship with coca, funded by WPR’s International Reporting Fellowship. The first installment can be found here.